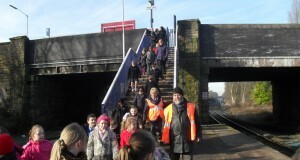 Community Rail Lancashire (CRL) has a team who specialise in working with young people especially schools and colleges. 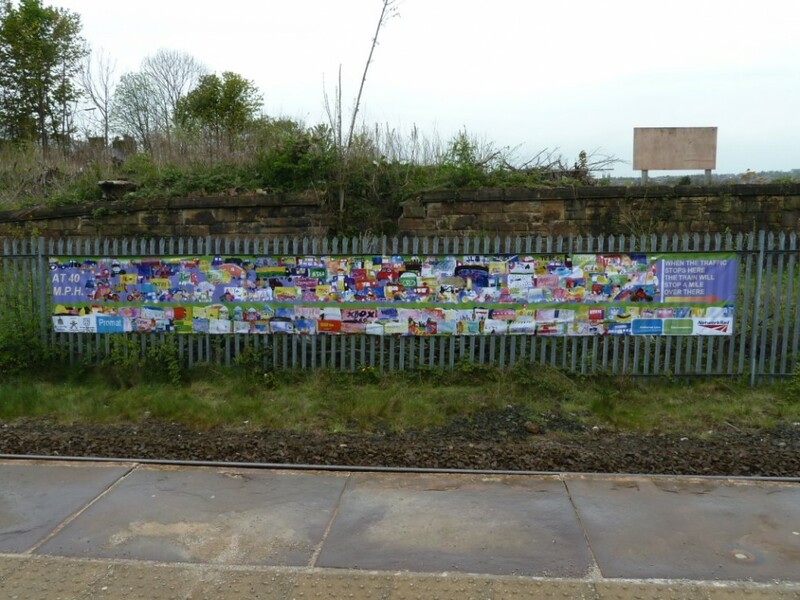 Daisy Chapman-Chamberlain, Community Rail Education Development Officer, Karen Bennett, Community Rail Education Development Officer and Katie Musgrove, Special Needs Education Officer. 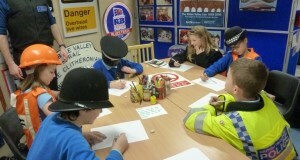 Dax Byrne-Turner a PCSO from the British Transport Police. 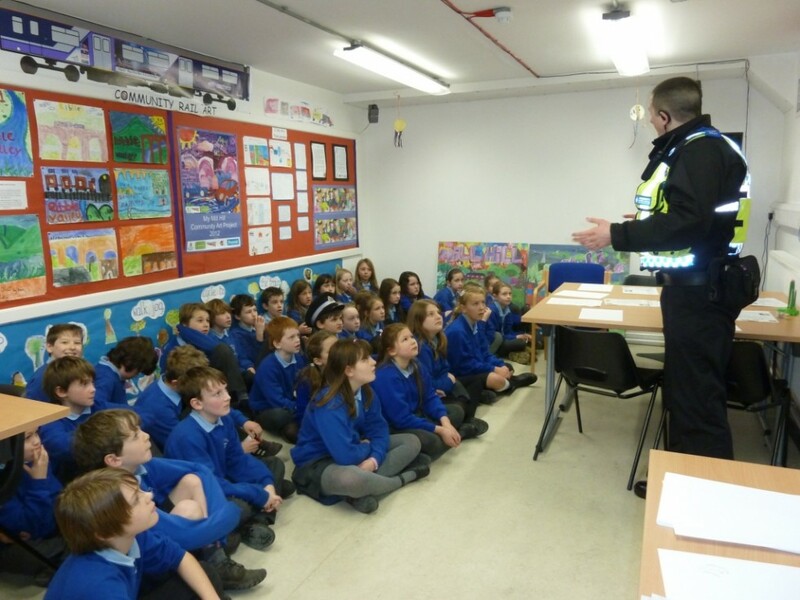 All have enhanced clearance from the Disclosure & Barring Service (previously CRB) and experience of working in schools. + Discovering the Ribble Valley Line based on a journey between Blackburn and Clitheroe. 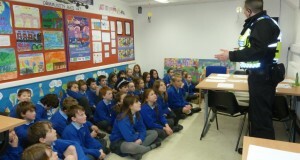 This is followed by a question and answer session with questions based around the DVD. 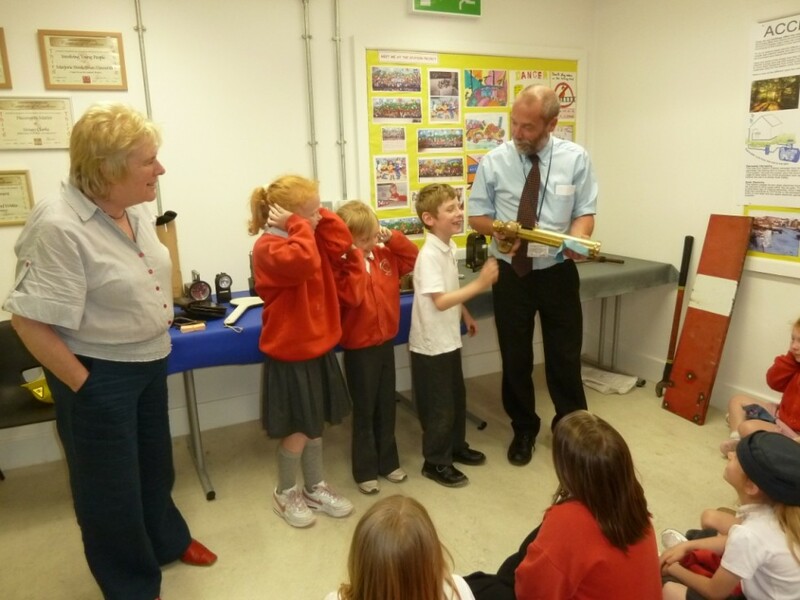 The next session is ‘hands on’ using old railway equipment such as signals, oil lamps, uniforms etc. 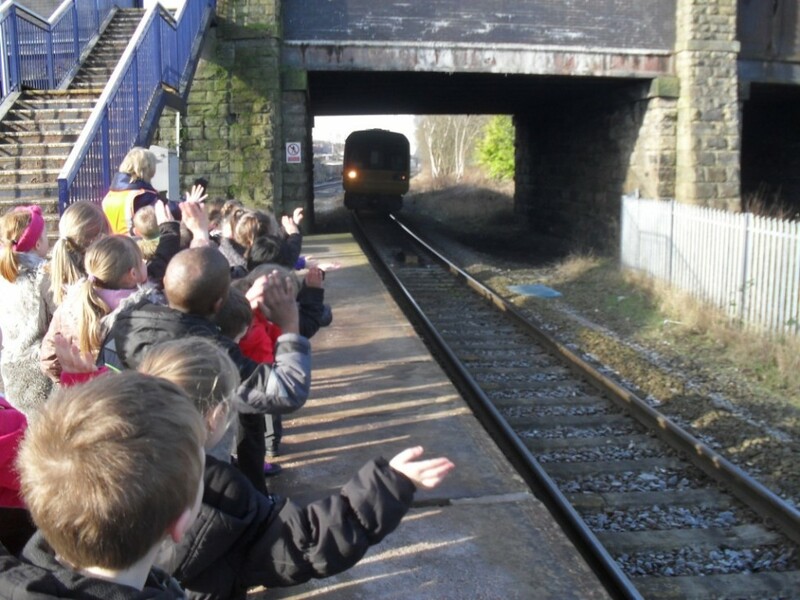 During this session the children get to wear and handle railway equipment and are introduced to rail safety. 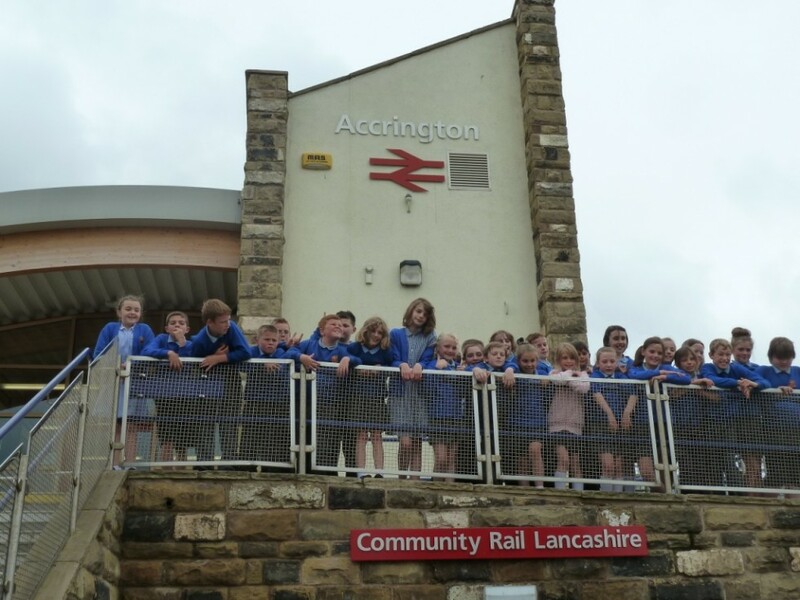 Following this the class visit Accrington Eco Station for a full day in the office of Community Rail Lancashire affectionately known as the ‘Bunker’. 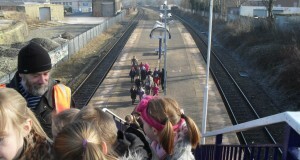 The team meet them at their local station and accompany them on the train journey. 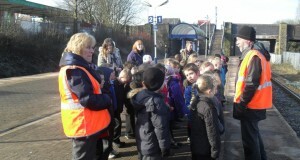 During this time they learn about how to use a station, purchase a ticket and travel safely on the train. 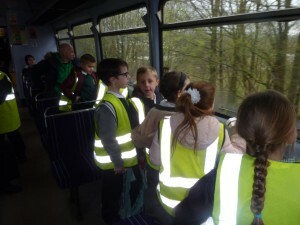 They are encouraged to look for interesting things through the train window which they put on their map of the journey. 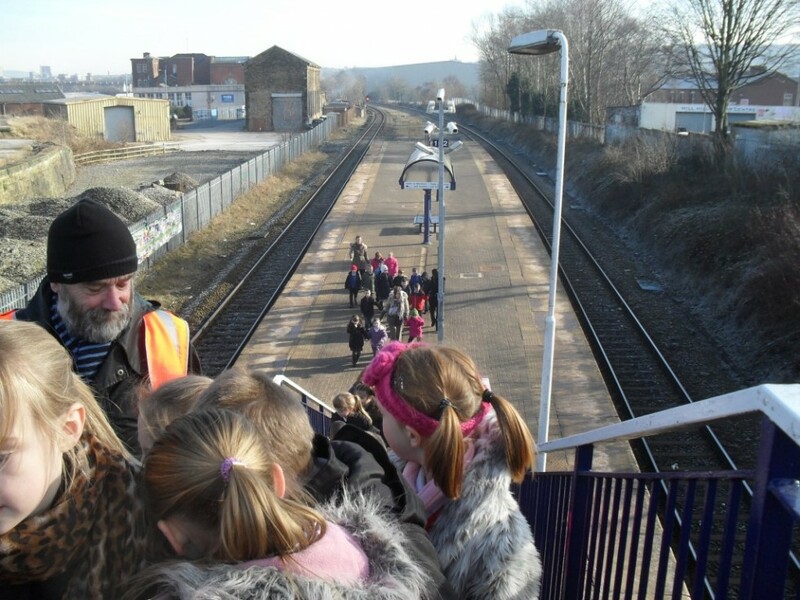 + British Transport Police – an in depth look at railway safety. 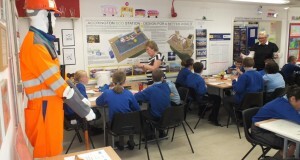 Other topics can be covered and these will be discussed with the school. 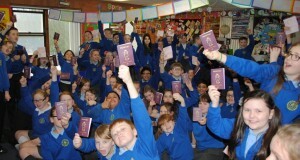 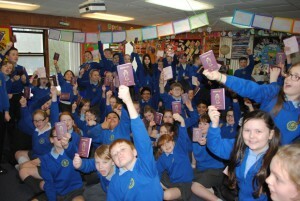 At the end of the session the children are presented with their own ‘Passport’ which enables them to free travel on designated rail services for three months, as long as they are accompanied by a fare paying adult. 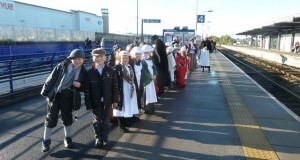 The transport costs are covered by Arriva Rail North, the local Train Operating Company. 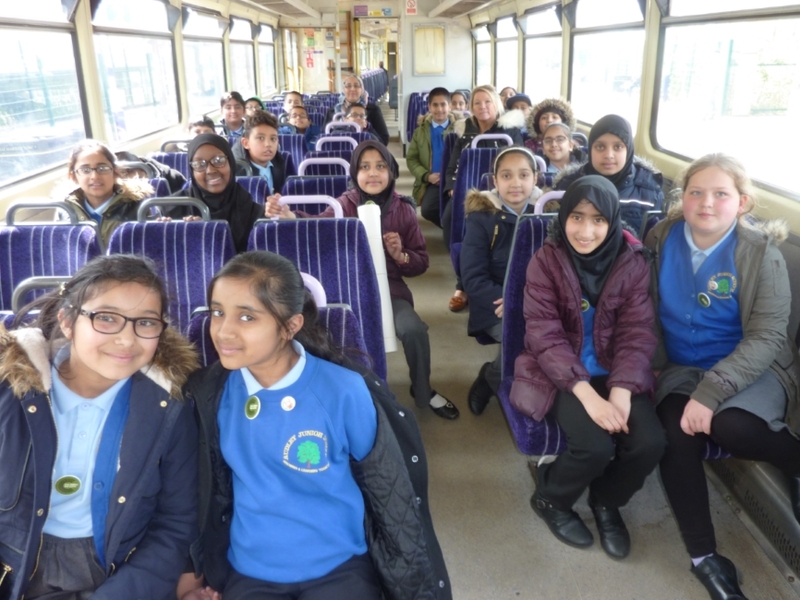 + To introduce young people (especially 8/9/10 year olds in years 4 & 5) to rail travel and to make them aware of its benefits. 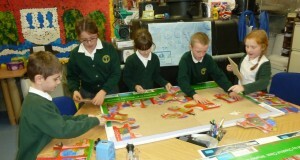 + To develop a curriculum based package (see flow chart) that is attractive to teachers and is linked to Key Stage 2 of the National Curriculum. 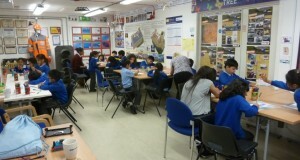 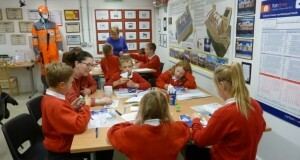 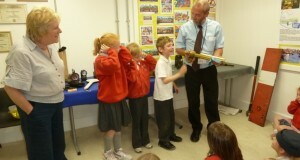 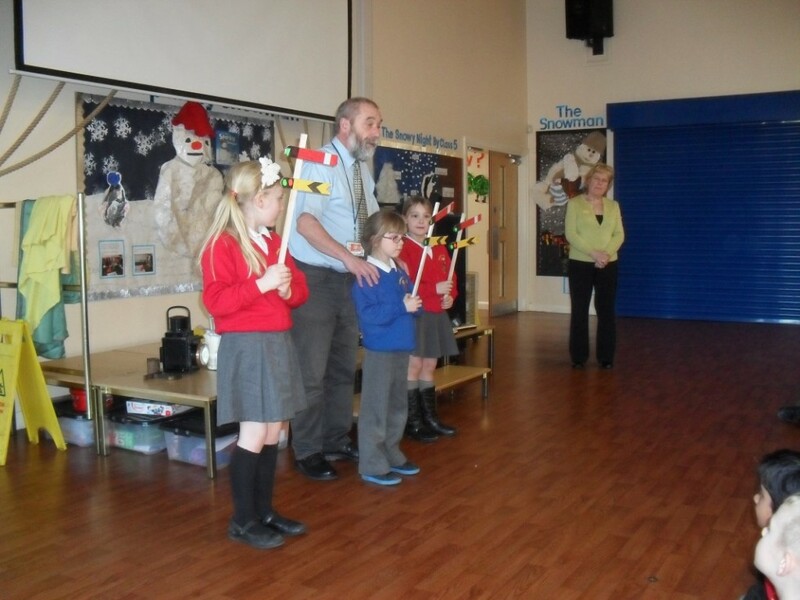 + To visit schools and give a presentation including a short DVD and a ‘hands on’ railway artefacts session. 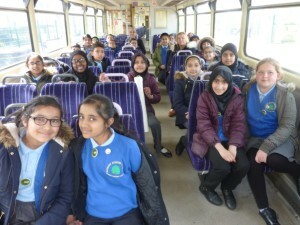 + To provide pupils and teachers /parents with an escorted trip along the Clitheroe/Manchester or Colne/Preston lines to break down barriers and enhance understanding of how to use the railway. 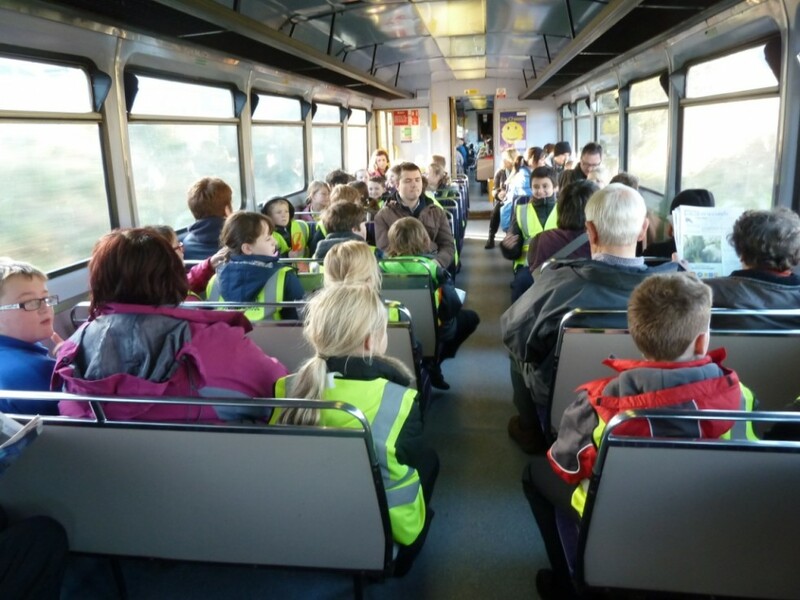 + To make pupils aware of rail safety issues and the effects of trespass and vandalism/graffiti on perceptions of rail travel in partnership with the British Transport Police. 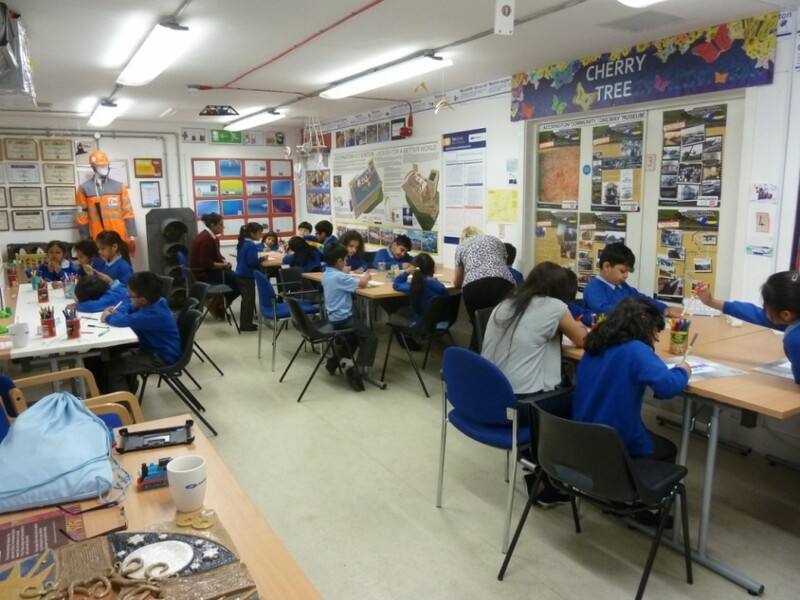 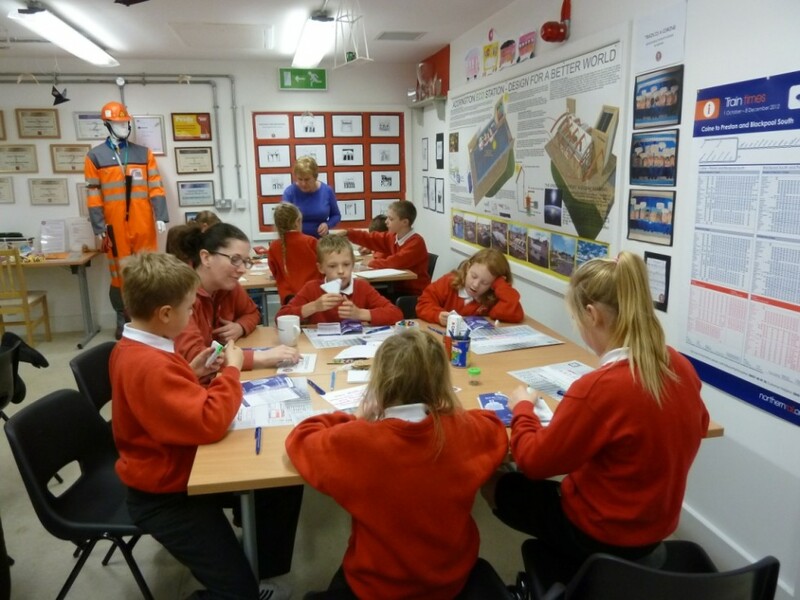 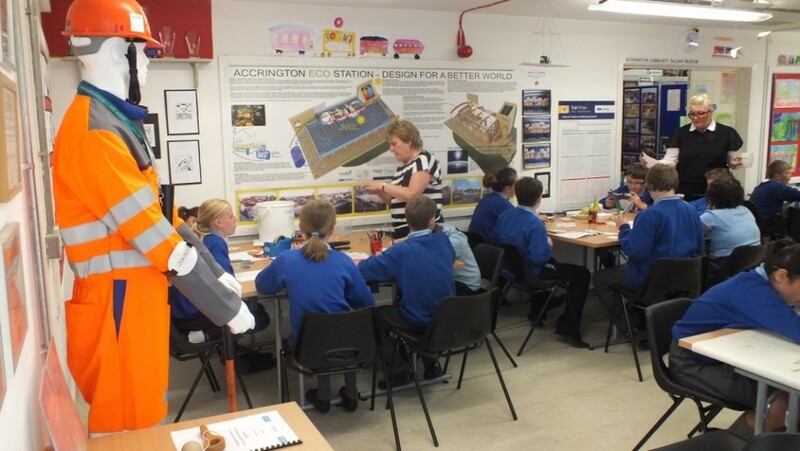 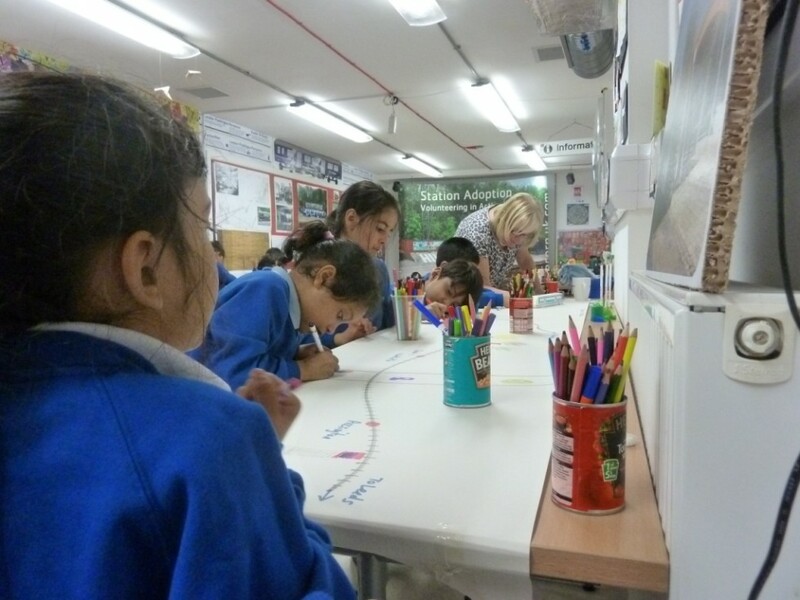 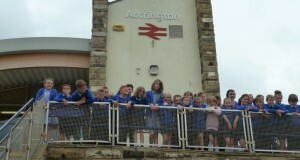 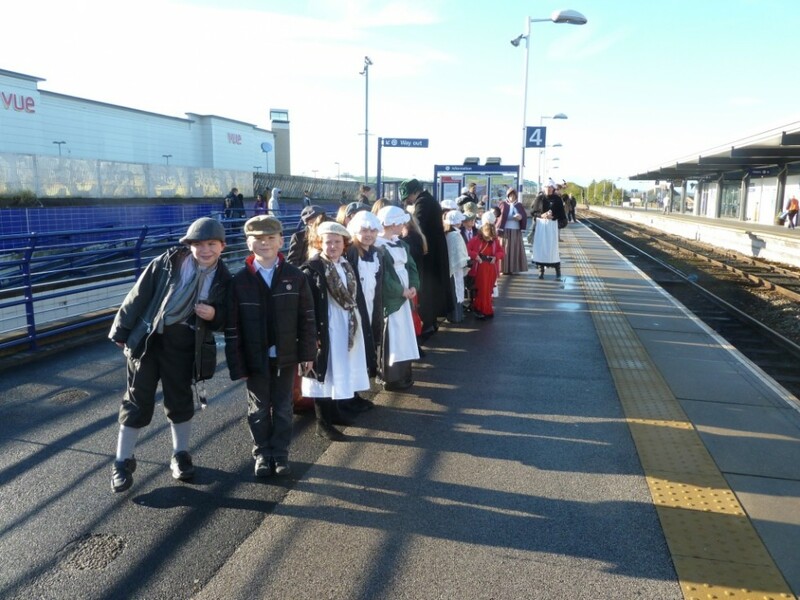 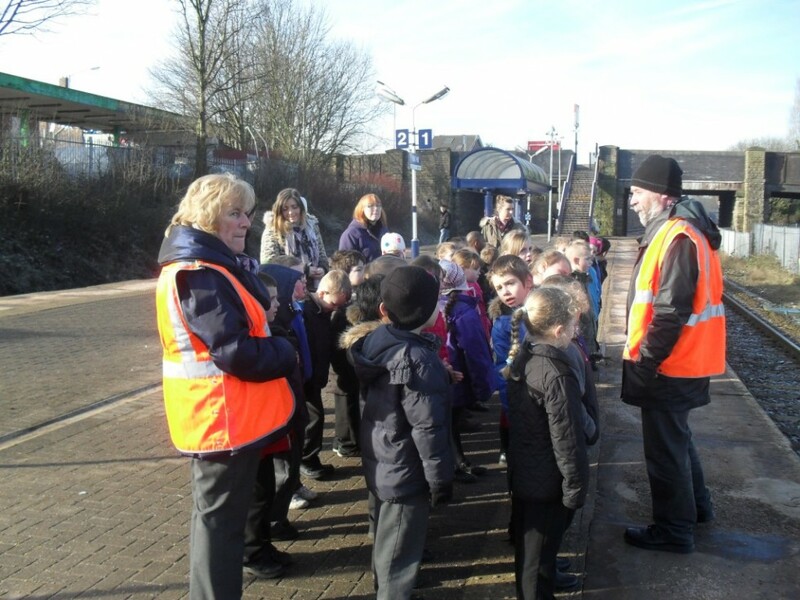 + To provide curriculum linked educational experiences relating to the environment of rail travel by providing a full days visit to Accrington station. 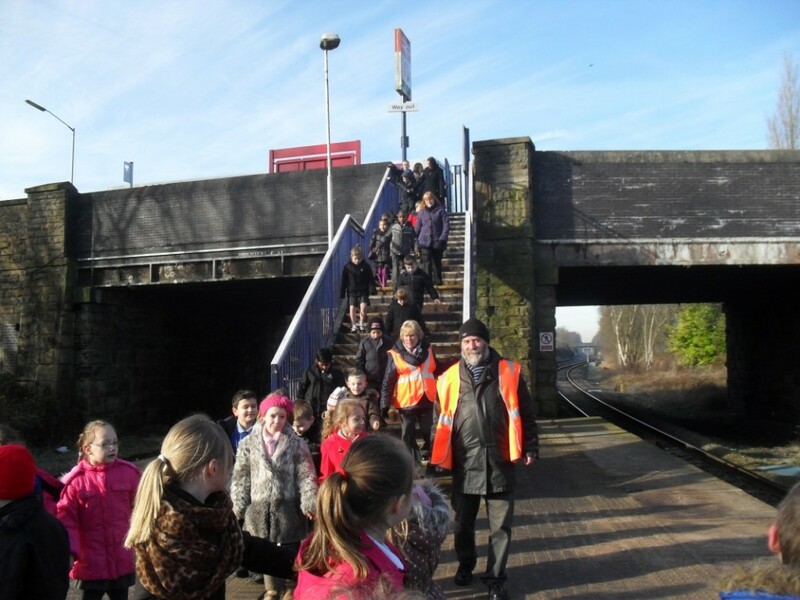 On completion of their work we will provide them with a ‘Passport to Safe Rail Travel’ to encourage continued use of the train. 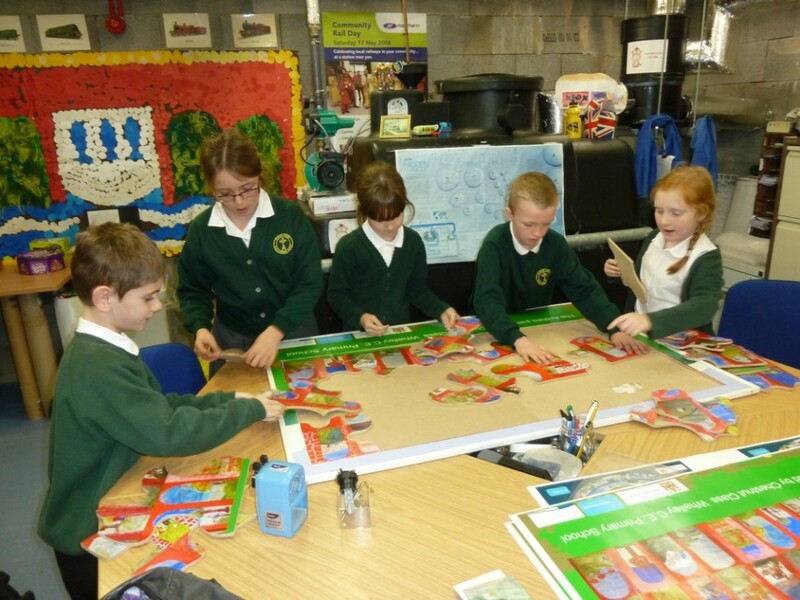 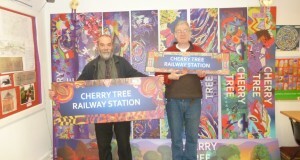 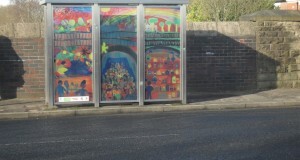 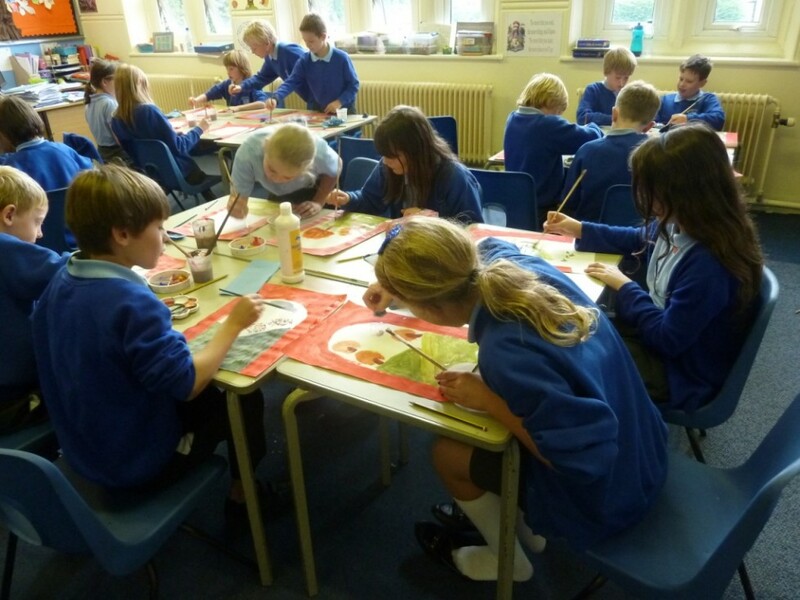 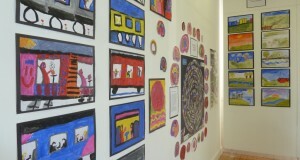 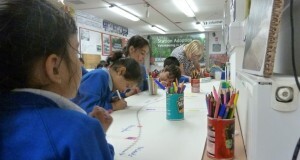 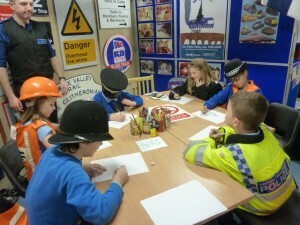 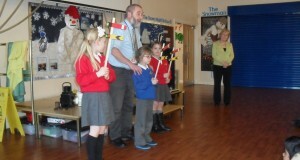 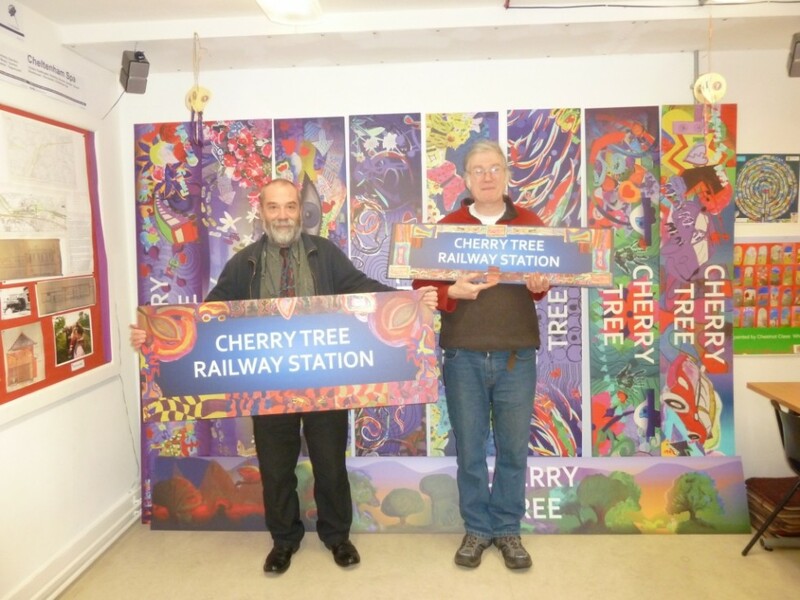 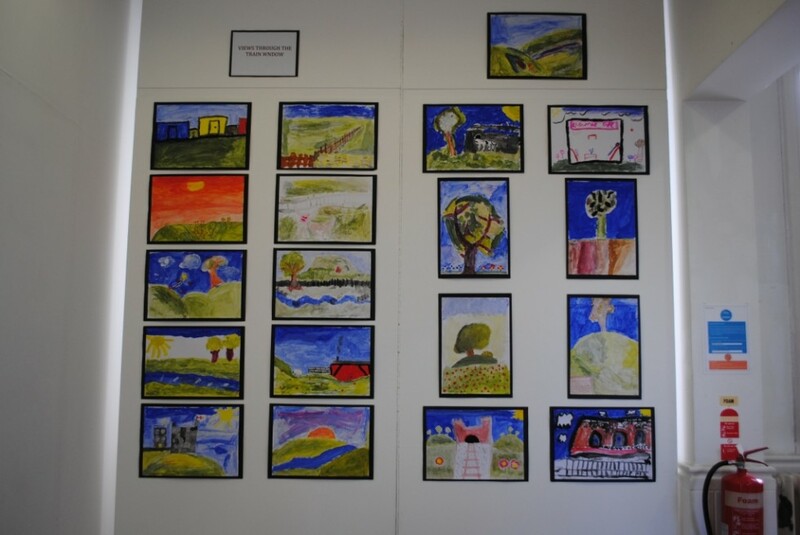 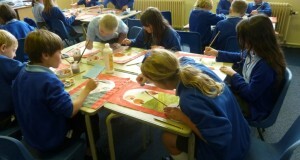 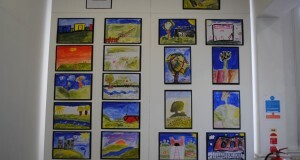 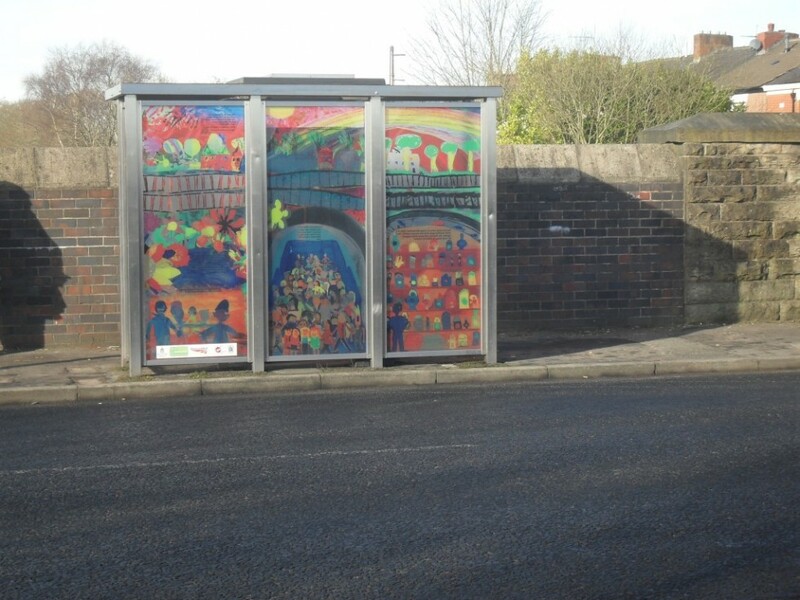 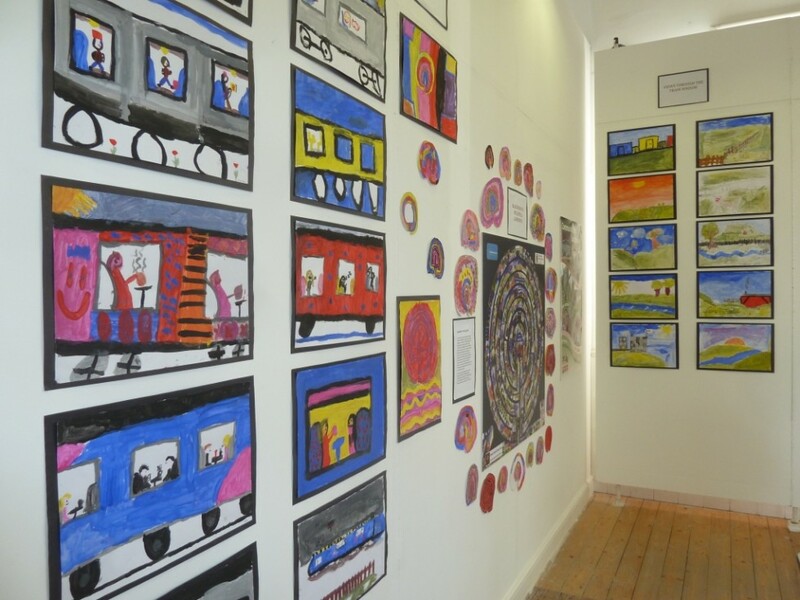 + To encourage themed pupil art and project work for use on stations in partnership with other local community groups. 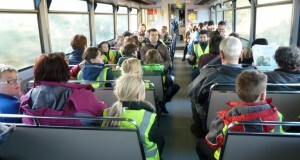 CRL has produced a leaflet called ‘Educating the Passengers of the Future’ and this can be viewed by clicking here. 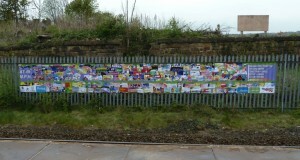 Other sections of the website show some of the projects that CRL has been involved in.